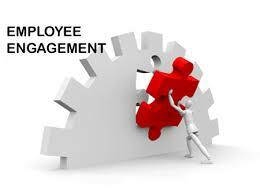 A selection of definitions that have emerged around concepts concerning employee engagement. Research has viewed the involvement, determination and productivity involving employees. Organizations have frequently had a consentrate on how to make engagement, rather than seeking objective approaches to measure it. Employee engagement is a workplace designed to make employees are devoted to their organisation’s aims and values, motivated to give rise to organisational success, and are able concurrently to enhance particular sense of well-being.